Manny Pacquiao announced a couple of days ago that he’ll be shifting media partners favoring ABS-CBN to air starting with upcoming Manny “Pacman” Paquiao Vs. Ricky Hatton, May 2nd match up. 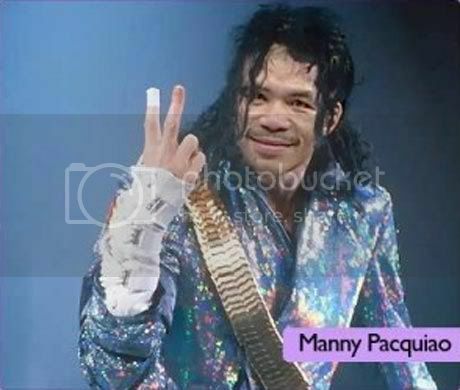 But, Manny is still under contract with Solar Sports regarding TV rights until 2011 that pave the way for a conflict. Manny has reasoned that it was his personal decision and that no one has influenced him in anyway. Part of this was his previous sentiments against Solar Sports not paying him in full and at times delayed. Solar Sports took action by making a confrontation with Manny’s MP Promotions in LA. After much talk between the two parties, Manny Pacquiao’s camp formally made a public apology due to public’s confusion and announced that the contract between MP Promotions and Solar Sports as his media partner is completely valid and binding until 2011. Therefore, the upcoming fight between Pacquiao and Hatton will still be aired by Solar Sports and in partnership, also with GMA Network. Manny Pacquiao also want the public to know that he’s right now focusing his efforts practicing and preparing for his fight. He continually asks for everyone’s support and prayers. Thanks to Glenn’s Blog for the last pic! Geoff Eigenmann now shifts station from ABS-CBN to GMA Network. He just signed a 3-year exclusive contract and has now become a ‘100 percent Kapuso’ as he coined it. Geoff supposedly has lots of offers from the Kapamilya Network. However, ABS-CBN right now has so many talents that eventually he’s bumped out of the scene. The good thing about Geoff’s transfer is that he left the station in good faith without any hard feelings and no bridges to be burnt. Another good thing for him to miss is the friendship he has established with other Kapamilya stars. 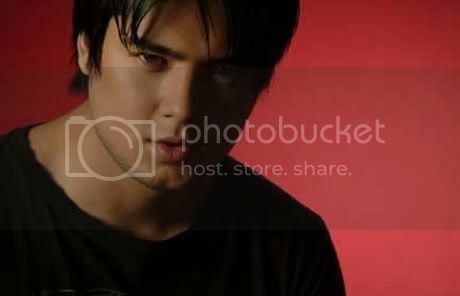 He’s still finishing a horror film, “Estrella” with Maja Salvador, Shaina Magdayao and Jake Cuenca under Star Cinema. But right now, Geoff’s proud and happy to be a Kapuso. Projects are on their way and the first will be SRO Cinemaserye, which is Obra before. Actually, he is also looking forward to have Heart Evangelista again as his leading lady (…who doesn’t want to? 😉 ).